← “Looking On”, Watching the building of the Freedom Tower. 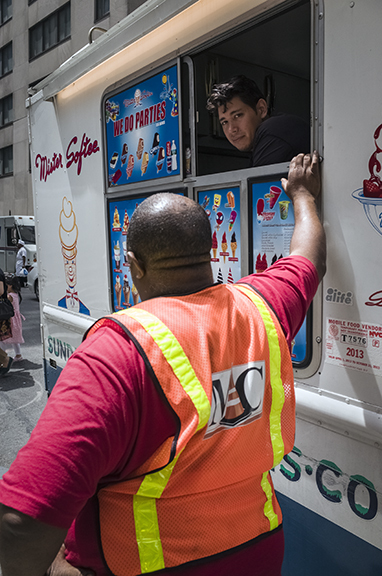 Image | This entry was posted in Financial District, New York City and tagged color, Financial District, food truck, ice cream, Manhattan, New York City, Olympus OMD EM5, Ricoh GR, street, vendor, Wall Street, window. Bookmark the permalink.